A digital archive of previous editions of World Leather Magazine. Essential reading for tanners,leather traders, manufacturers and the wider industry, featuring essential technical papers, country commentaries, topical articles and special supplements. 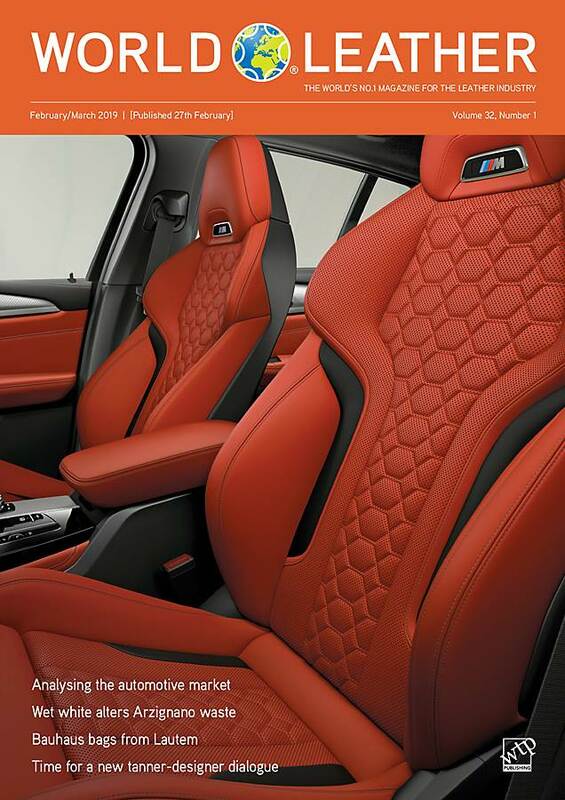 The February/March 2019 issue of World Leather includes an in-depth look at the automotive leather market, which has undergone significant changes in recent months. Our technology section brings insight into the workings of the effluent treatment plant in the Arzignano tanning district in Italy and information about developments in splitting technology. There is also an update on a European Union-financed project involving Smit & zoon and we report from the Lanxess leather symposium, the India International Leather Fair and Lineapelle London. This issue’s Beast to Beauty feature puts the spotlight on a Spanish leathergoods brand that finds its inspiration in the Bauhaus movement.